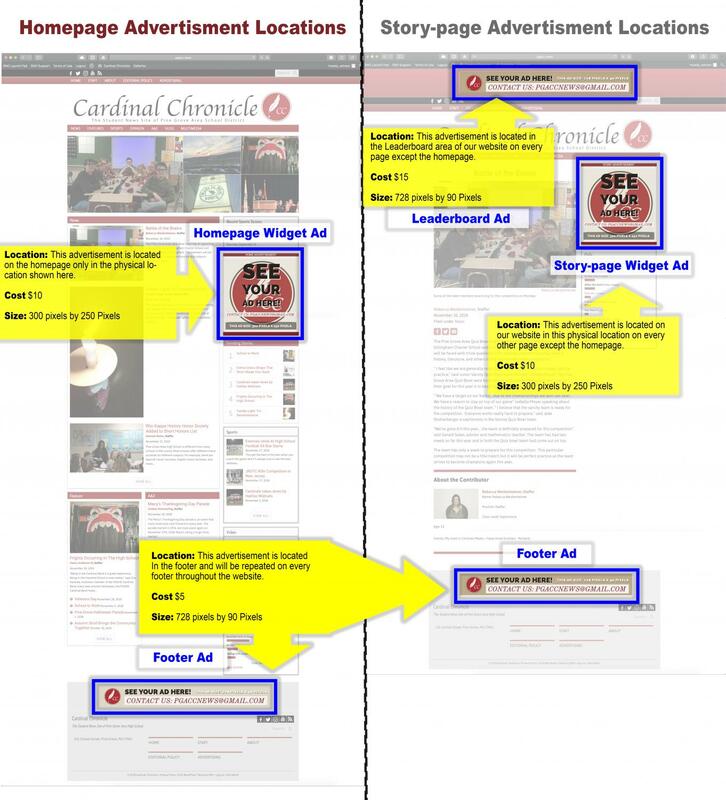 The Cardinal Chronicle offers advertising opportunities for businesses and organizations. Our audience includes over 1700 students and their families. Currently we have advertising opportunities available on our online newspaper. We hope to bring further advertising opportunities next year. Below you can see our advertising rates and location of our advertising spaces. For advertisement inquiries, please fill out the form below. These ads will run for a duration of three months.